Carnet de Mode is more than a French fashion online store. It is a great exposition marketplace of more than 200 designers with their unique clothing, accessoires and jewelry. Worldwide shipping. Footsteps is a German shoe online store offering you a gigantic assortment of great shoes, including sneakers, sports shoes and casuals. International shipping. Discover high quality fashion for men and women at ModernStore, a German clothing online store. International shipping. Get the best streetwear shoes and clothes at Never Ending - the streetwear online store. International shipping. Looking for kids fashion? Enter Not Just Pink - the German kids fashion outlet online store. Shipping to EU, USA and other parts of the world. 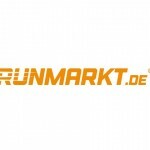 RunnerInn is a European sports fashion online store with HQ in Spain. Heritage Of Scotland is a manufacturer company from United Kingdom which is active in the points coats and jackets, clothes - women's, ﻿clothes, jewellery, t-shirts, leather and suede clothing, shirts, fashion online stores, costumes, protective and work clothes, socks and stockings, clothes - accessories, clothes - children's, formal wear, gloves, trousers, hats and caps, gowns wedding, blouses, jeans, clothes - men's, jumpers sweaters pullovers, underwear, cardigans and waistcoats, . People from different countries get pleasure from the provided services and items. Get advantage from the big collection. On our site you will find all the contact data just like phone number or website.